The mass shooting in Orlando caused some of the city's theme parks, like SeaWorld, to respond. The hugely popular theme parks that are synonymous with Orlando responded quickly to the horrific mass shooting that took place in that city Sunday morning. "Our thoughts and prayers are with all of those touched by the unimaginable events that occurred in Orlando early this morning," Seaworld tweeted Sunday. The response follows a mass shooting that took place at a gay Orlando nightclub, Pulse, where 49 people were killed and dozens more were injured early Sunday. An earlier death toll of 50, released by officials, had included the gunman. Orlando, Florida, is one of the country's biggest vacations destinations. The city and its outlying areas are home to major theme parks like SeaWorld, Universal Studios, and Disney World. 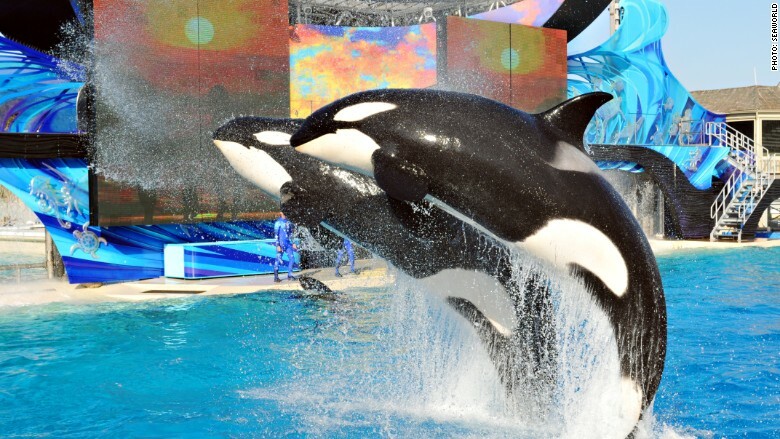 "The safety of our ambassadors, guests and animals has always been our top priority," SeaWorld said in a statement. "Our security teams work closely with law enforcement, and we have enhanced security measures at all our parks ... we do not comment on the details of our security measures in order to maintain their effectiveness." Our thoughts and prayers are with all of those touched by the unimaginable events that occurred in Orlando early this morning. Representatives for Disney World and Universal Studios Orlando did not immediately respond with comment about the shooting or as to whether security protocols would change following the shooting. Last year, Disney made news by installing metal detectors at its theme parks. However, they're only used on some randomly selected guests. In December, Universal said it was also testing the use of metal detectors at the parks, while SeaWorld said guests can expect a "thorough bag check" as well as the use of wand metal detector checks. Disney World is located in Lake Buena Vista, Florida, roughly 20 minutes southwest of downtown Orlando, where the shooting took place. SeaWorld is 10 minutes south of downtown and Universal is roughly 15 minutes west. The parks are not just tourist spots for Orlando, but also huge employers for the area. For example, Disney World, which is comprised of four theme parks and 27 hotels, employs 75,000 in Central Florida.